When you first find out you're pregnant, your excitement may make nine months seem like a long time to wait to meet your new little one. But, once you start seeing those changes week to week as your body and the baby grow, time will fly by! When you're around three weeks pregnant, you may miss your period, take a few pregnancy tests and learn the good news. At this time, your baby is just a couple tiny cells, and you may feel sick and moody as if you have PMS. By week seven, many women are tired while their bodies adjust to changing hormones and a rapidly developing baby! He or she is now the size of a blueberry, and the child's brain is growing up to 100 brain cells every minute. When week 10 comes along, your baby is the size of a prune and is growing joints, bones, cartilage, hair and fingernails. At week 15, tiny eyes and ears develop and move into place on your baby's darling little face! You won't feel it at this point, but he or she will start moving like crazy, wiggling arms and legs and even fingers and toes! As the weeks pass, your tiny baby will grow into a full-sized human ready to enter the world. 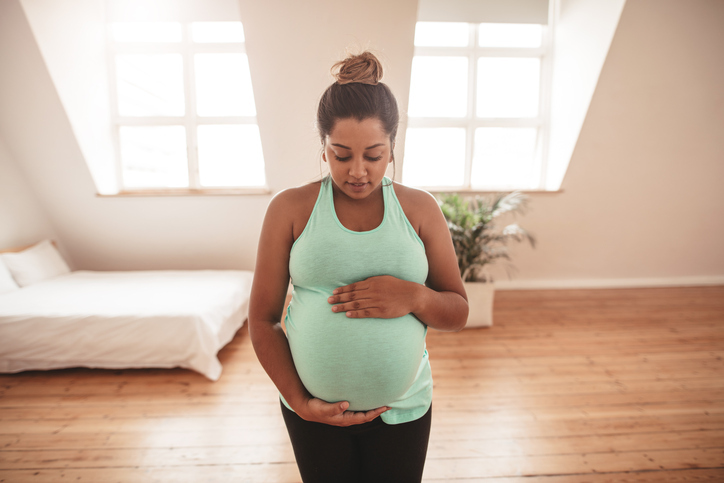 At week 37, most moms are clear for delivery, and by week 40 you should have already gone into labor or will soon deliver your newest family member into the world!